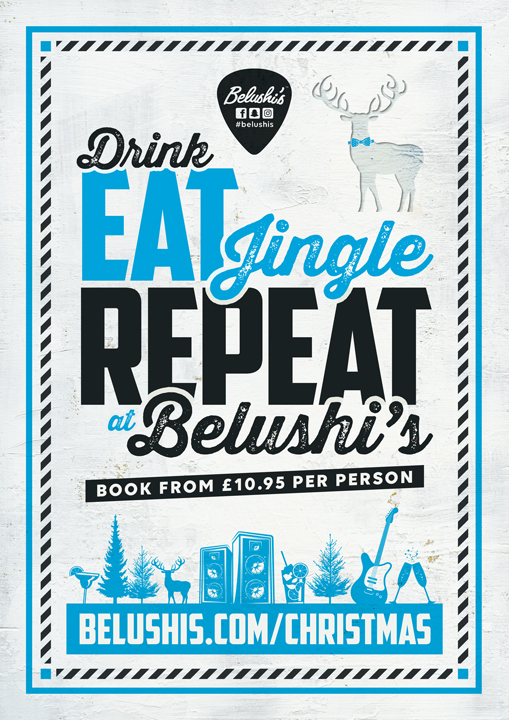 Have yourself a merry little Christmas and book your party at Belushi’s Bars across Europe! We’ll be throwing epic parties all through the festive season this 2019, so you can have a Christmas you’ll never forget. Think kickass festive food packages for you and your friends or colleagues, or prepaid bar tabs so you can spend less time at the bar and more time sleighing on the dancefloor! Party into the night with our rockin’ playlists, sip on a festive cocktail or two and have the time of your life at Belushi’s this Christmas!